"Disputed states" redirects here. For a list of territorial disputes including these, see List of territorial disputes. People's Republic of China 1949 The People's Republic of China (PRC), proclaimed in 1949, is the more widely recognised of the two claimant governments of China, the other being the Republic of China (ROC, also known as Taiwan). The United Nations recognised the ROC as the sole representative of China until 1971, when it decided to give this recognition to the PRC instead (see United Nations General Assembly Resolution 2758). [a] The PRC and ROC do not recognise each other's statehood, and each enforces its own version of the One-China Policy meaning that no state can recognise both of them at the same time. The states that recognise the ROC (16 UN members and the Holy See as of 21 August 2018) regard it as the sole legitimate government of China and therefore do not recognise the PRC. Bhutan is the only UN member state that has never explicitly recognised either the PRC or the ROC. The Republic of China considers itself to be the sole legitimate government over all of China (including Taiwan), and therefore claims exclusive sovereignty over all territory controlled by the PRC. Republic of China 1912[c] The Republic of China (ROC), constitutionally formed in 1912, and located primarily in Taiwan since 1949 (resulting in 'Taiwan' being frequently used to refer to the state), enjoyed majority recognition as the sole government of China until roughly the late 1950s/1960s, when a majority of UN member states started to gradually switch recognition to the People's Republic of China (PRC). The United Nations itself recognised the ROC as the sole representative of China until 1971, when it decided to give this recognition to the PRC instead (see United Nations General Assembly Resolution 2758). [a] The ROC and PRC do not recognise each other's statehood, and each enforces its own version of the One-China Policy meaning that no state can recognise both of them at the same time. The ROC is currently recognised by 16 UN members and the Holy See. Almost all the remaining UN member states, as well as the Cook Islands and Niue, recognise the PRC instead of the ROC and either accept the PRC's territorial claim over Taiwan or take a non-committal position on Taiwan's status. [a] A significant number of PRC-recognising states nonetheless conduct officially non-diplomatic relations with the ROC. Bhutan is the only UN member state that has never explicitly recognised the ROC or the PRC. Since the early nineties, the ROC has sought separate United Nations membership under a variety of names, including 'Taiwan.' The People's Republic of China considers itself to be the sole legitimate government of China (including Taiwan) and therefore claims exclusive sovereignty over all territory controlled by the ROC. The history of the State of Palestine describes the creation and evolution of the State of Palestine in the West Bank and Gaza Strip. Palestine, officially the State of Palestine, is a de jure sovereign state in Western Asia claiming the West Bank and Gaza Strip with Jerusalem as the designated capital, although its administrative center is currently located in Ramallah. 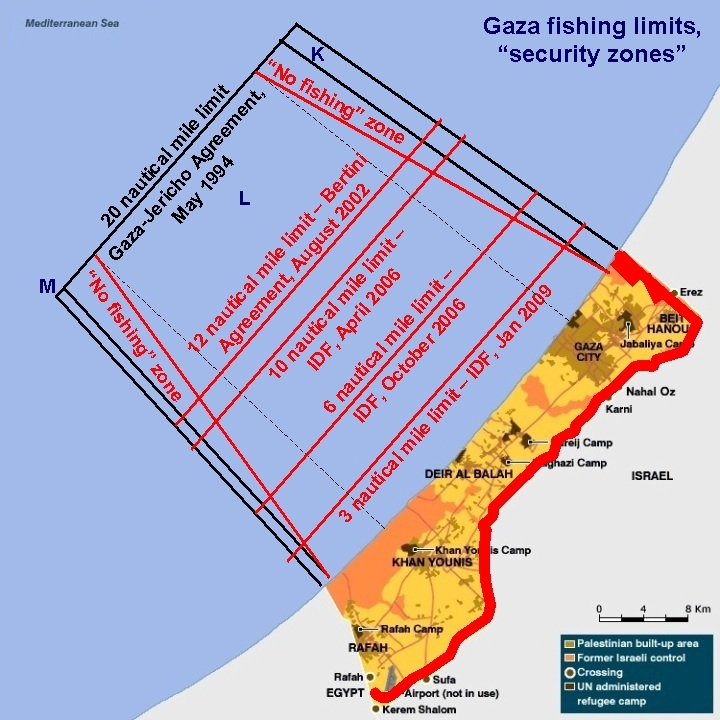 The entirety of territory claimed by the State of Palestine has been occupied by Israel since the Six-Day War in 1967. Palestine has a population of 4,816,503 as of 2016, ranked 123rd in the world. Abkhazia–Russia relations is the bilateral relationship between the Republic of Abkhazia and the Russian Federation. Russia recognised Abkhazia on 26 August 2008, following the August 2008 South Ossetia war. Abkhazia and Russia established diplomatic relations on 9 September 2008. 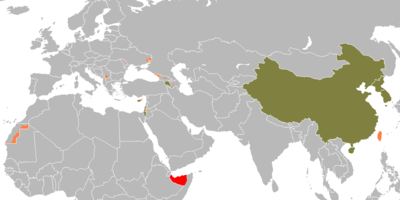 This is a list of sovereign states in the 1980s, giving an overview of states around the world during the period between 1 January 1980 and 31 December 1989. It contains 184 entries, arranged alphabetically, with information on the status and recognition of their sovereignty. It includes 171 widely recognized sovereign states and 6 entities which claim an effective sovereignty but are considered de facto dependencies of other powers by the general international community. This is a list of sovereign states and dependent territories in Eurasia, along with other areas of special political status. Palestine 194 is the name given to a diplomatic campaign by the Palestinian National Authority to gain membership in the United Nations for the State of Palestine. The name of the campaign is a reference to Palestine becoming the 194th member of the UN. The campaign is part of a strategy to gain international recognition of the State of Palestine based on the borders prior to the Six-Day War, with East Jerusalem as its capital. The initiative developed during a two-year impasse in negotiations with Israel that followed the latter's refusal to freeze its settlement activities in the West Bank. The campaign was reported in the media as early as late 2009, and gained prominence during the leadup to the 66th Session of the General Assembly in September 2011. President Mahmoud Abbas submitted the application to the Secretary-General Ban Ki-moon on 23 September 2011; the Security Council has yet to vote on it. In September 2012, the Palestinian Authority announced a draft resolution according non-member observer state status to Palestine, which the General Assembly passed on 29 November 2012. The foreign relations of the State of Palestine have been conducted since the establishment of the Palestine Liberation Organization (PLO) in 1964. In November 1988, the PLO's Palestinian National Council declared the independence of the State of Palestine and in 1994 the PLO established the Palestinian National Authority (PNA) following the Oslo Accords. The PLO Executive Committee performs the functions of the government of the State of Palestine. Currently, the PLO maintains a network of offices in foreign countries and also represents the PNA abroad. The international recognition of the State of Palestine has been the objective of the Palestine Liberation Organization (PLO) since the Palestinian Declaration of Independence proclaimed the establishment of the State of Palestine on 15 November 1988 in Algiers, Algeria at an extraordinary session in exile of the Palestinian National Council. The declaration was promptly acknowledged by a range of countries, and by the end of the year, the proclaimed state was recognized by over 80 countries. As of 3 August 2018, 137 of the 193 United Nations (UN) member states and two non-member states have recognized it. Furthermore, Palestine has been a non-member observer state of the UN since November 2012. Iceland–Israel relations refers to the diplomatic relations between Iceland and Israel. Both nations are members of the Organisation for Economic Co-operation and Development and the World Trade Organization.